CLEAN TITLE CERTIFIED! 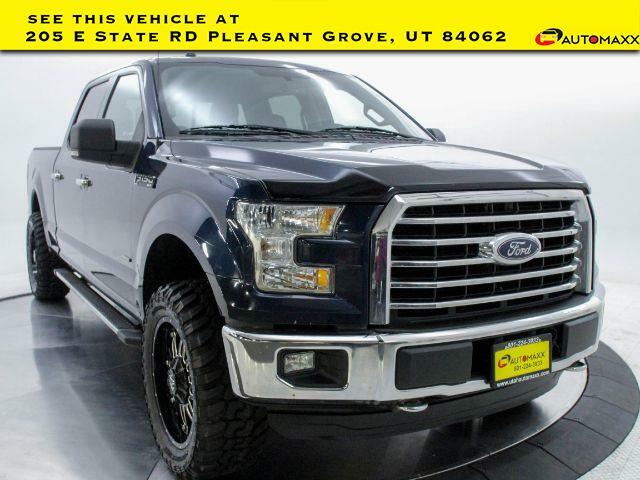 This vehicle is at 205 E. State Pleasant Grove, UT 84062. 2015 Ford F-150 XLT Awards: * Green Car Journal 2015 Green Car Technology Award * NACTOY 2015 North American Truck of the Year * 2015 KBB.com Brand Image Awards Based on 2017 EPA mileage ratings. Use for comparison purposes only. Your mileage will vary depending on how you drive and maintain your vehicle, driving conditions and other factors. -----Automaxx Pleasant Grove-Utah Countys Only UN-Authorized Jeep dealer! --- All vehicles come with a 12 month/12,000 mile Powertrain WARRANTY for your PEACE of MIND! --- Winner of the 2018 and 2012 Quality Dealer Award in Utah and in business since 1998. ---Find us at 205 E. State Pleasant Grove UT 84062. Open 10am to 7pm Monday to Saturday. Or call 801-679-6688! !